Limiting dilution analysis with CSCs that were pre-treated with ABT-737, ABT-199 or WEHI-539 revealed that ABT-737 and WEHI-539 both were sufficient to decrease clonogenic capacity, whereas ABT-199 did not affect clonogenic growth. As WEHI-539 is selective for BCLXL, this points to a dependency of CSCs on BCLXL for survival. Importantly, ABT-737- or WEHI-539-induced loss of clonogenicity could be restored when BCLXL was ectopically overexpressed. When spheroid cultures were treated with ABT-737 or WEHI-539 compounds, CSCs were effectively sensitized toward oxaliplatin and other chemotherapeutic agents. 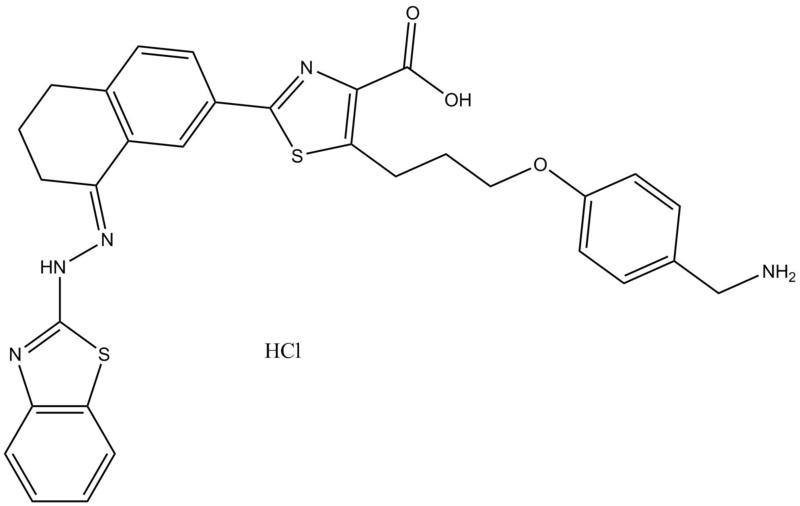 WEHI-539 hydrochloride is a small-molecule inhibitor of BCL XL with IC50 value of 1.1 nM . WEHI-539 was designed as a BCL-XL inhibitor with high affinity. It interacted with the binding groove of BCL-XL with Kd value of 0.6 nM. In MEF cells lacking MCL-1, WEHI-539 induced apoptosis which was evidenced by the release of mitochondrial cytochrome c and caspase-3 processing. In BCL-XL overexpressed MEF cells, WEHI-539 showed EC50 value of 0.48 μM. WEHI-539 also significantly induced apoptosis of the platelets purified from mice. 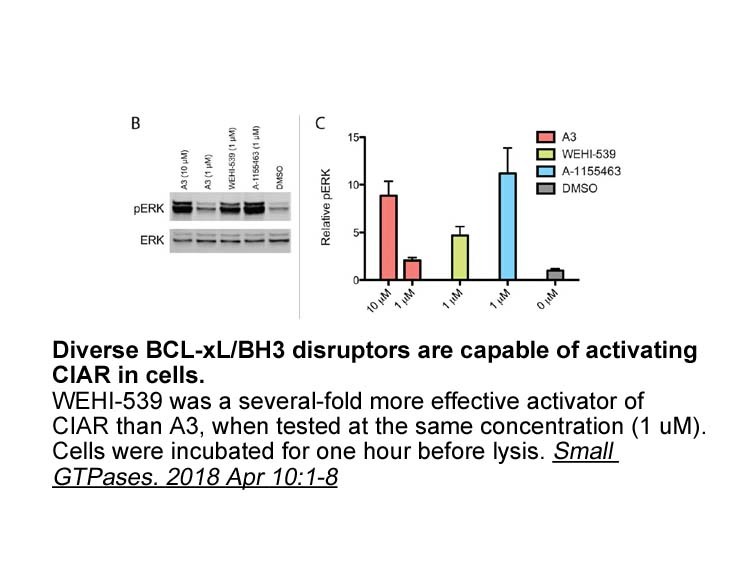 Besides that, WEHI-539 cannot kill MEF cells lacking BAK because the cell death mediator BAK is regulated by BCL-XL and MCL-1. .
. Lessene G, Czabotar PE, Sleebs BE, et al. Structure-guided design of a selective BCL-XL inhibitor. Nature chemical biology, 2013, 9(6): 390-397.